Paul Feig’s Ghostbusters reboot is only two days into shooting, and it’s already taking fire on some hoary old specters: idea specters, that is. 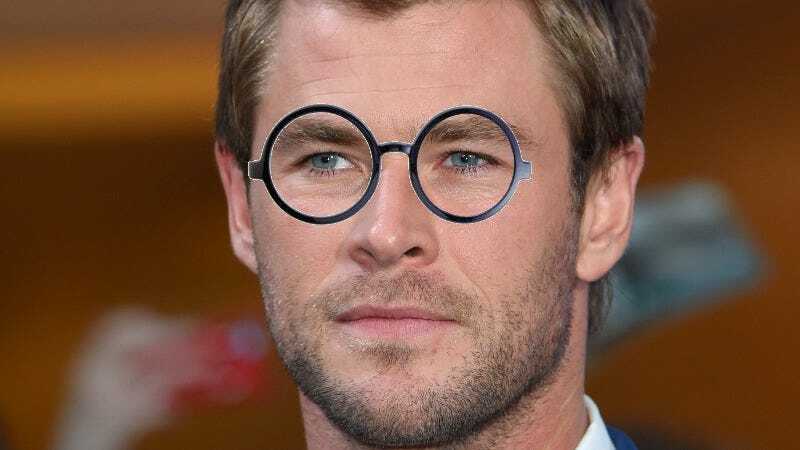 News broke today that Chris Hemsworth has been cast as the group’s receptionist, firing a big, proton-pack-powered blast at the dead idea that answering phones could be, like busting ghosts, a job with gendered connotations. Hemsworth will be taking on the position held by Annie Potts’ Janine Melnitz in the original movie, rolling his eyes and declaring that he’s quit better jobs—fighting Ultrons, presumably—than this one. Of course, all the disdain will melt away once he finally gives in to his emotional passions, falling in lust with an overly logical Leslie Jones (or whichever member of the cast draws the most inspiration from Harold Ramis’ Egon). But sorry, Manine Guynitz; science trumps love, and you’re going to end up unsatisfyingly paired off with Rick Moranis’ female equivalent in the inevitable sequel. Hemsworth is currently making a weird little mini-tour of ’80s comedy reboots, having also signed on for the Ed Helms-starring Vacation. Hopefully he’s keeping the non-Marvel portions of his dance card open for whenever the inevitable Caddyshack remake rears its ugly, gopher-shaped head, or that movie might have to go without the surprisingly muscle-bound groundskeeper or handsome Rodney Dangerfield stand-in it’ll so desperately crave.